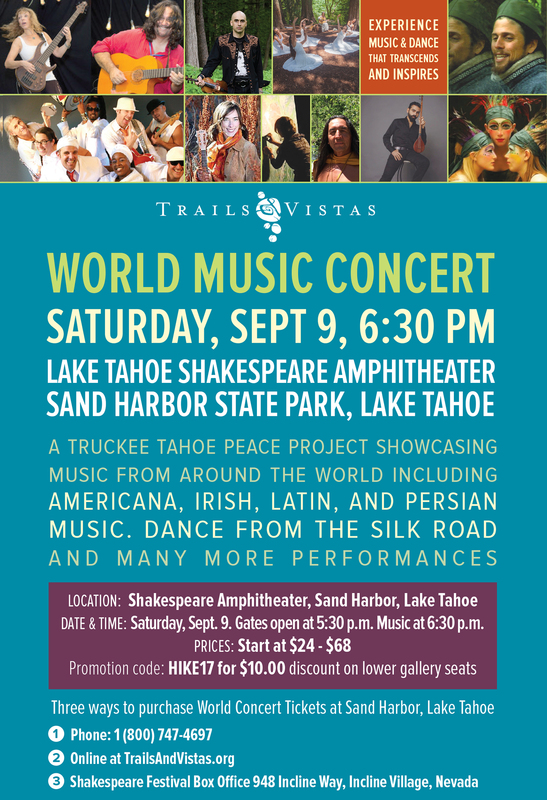 A Truckee Tahoe peace project showcasing music from around the world including Americana, Irish, Latin, and Persian music. 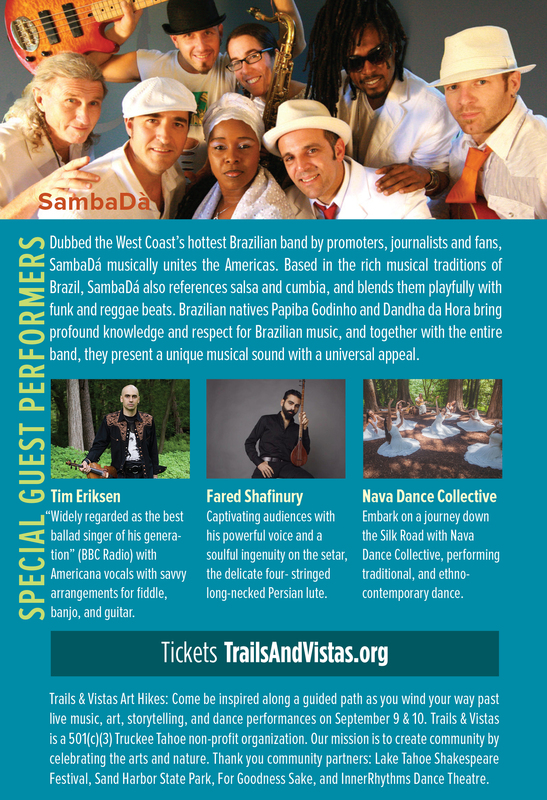 Dance from the silk road And many more performances. 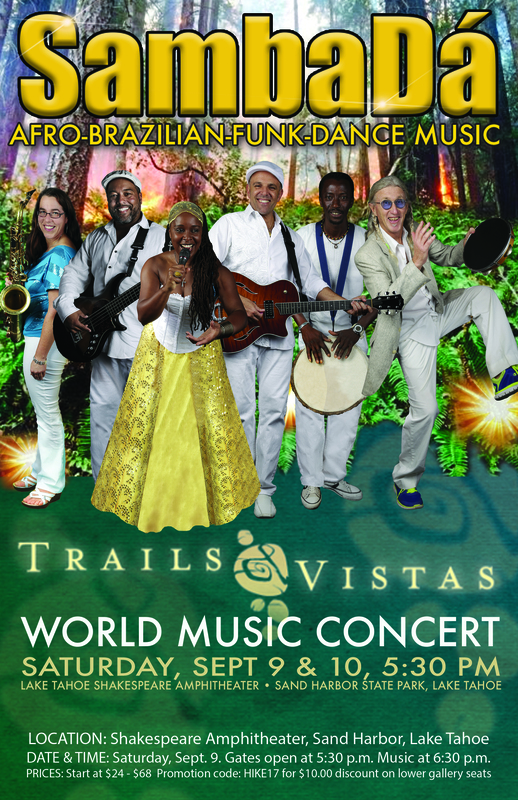 Gates open at 5:30 p.M. Music at 6:30 p.M.
Come be inspired along a guided path as you wind your way past live music, art, storytelling, and dance performances on september 9 & 10. Trails & vistas Is a 501(c)(3) Truckee Tahoe non-profit organization. 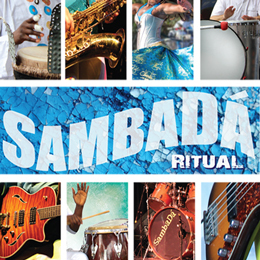 Their mission is to create community by celebrating the arts and nature. 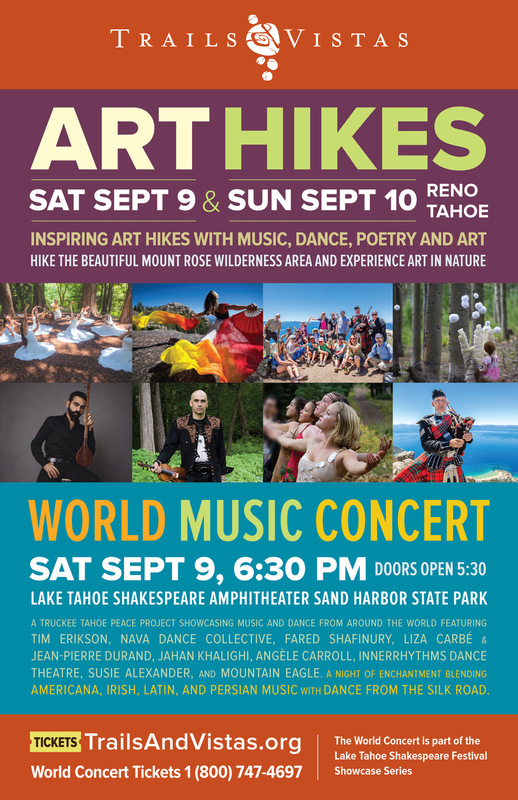 Community partners: Lake tahoe Shakespeare Festival, Sand Harbor State Park, For Goodness Sake, and Innerrhythms Dance Theatre.